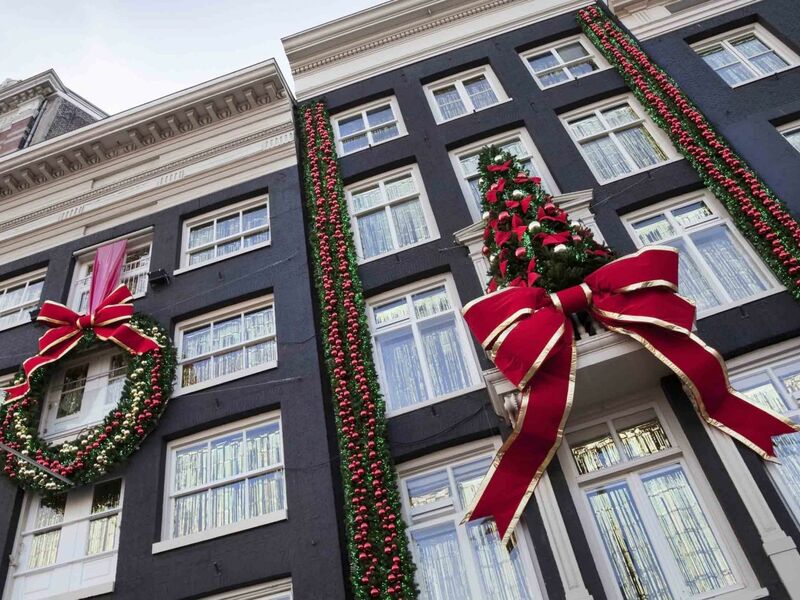 Christmas is a magical time in Amsterdam, when the city comes alive with light, festive cheer, and that special feeling of gezellig – comfort and cosiness. If you’re staying with us at the Conservatorium this Christmas season, this is your guide to enjoying the best the city has to offer. The towering Christmas tree on Dam Square is one Amsterdam’s most loved festive traditions. The illumination ceremony takes place on Thursday 15 November from 7PM to 10PM, and sees the tree and the De Bijenkorf department store sparkle with lights, accompanied by carol singing, music, and festive food and drink. The tree itself traditionally comes from Germany and is adorned with over 40,000 lightbulbs. P.C. 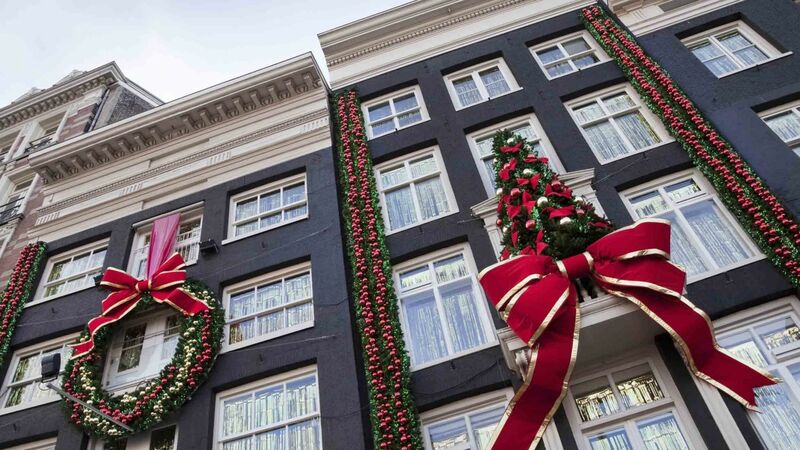 Hooftstraat is Amsterdam’s home for the best in international and Dutch designers, and many employ artists and architects to create stunning festive window displays. If you’re looking for a perfect Christmas gift, Hooftstraat is just around the corner from the Conservatorium, with stores including Dior, Chanel, Prada, and Tiffany & Co.
Festive concerts are a Christmas tradition of many of Europe’s best orchestras, and the Netherlands Philharmonic Orchestra puts on one of Amsterdam’s finest at the spectacular Royal Concertgebouw. This year the Christmas concert takes place on 22 December, with Arban’s Carnival of Venice and a selection from Tchaikovsky’s much-loved Nutcracker suite. This annual festival turns Amsterdam into a wonderland of light and art, with installations and light sculptures all over the city. Taking place throughout December and January, the Amsterdam Light Festival is in its seventh year and has over 200 installations, from floating dandelion seeds to elegant spider-like tendrils and thickets of illuminated spines crowded around the canal bridges. Christmas wouldn’t be complete without a festive market, and Amsterdam boasts plenty of them. Museumplein is home to one of the most spectacular, with an ice rink at its centre and Rijksmuseum providing a grand backdrop. There’s also live entertainmzent along with the many stalls selling Christmas gifts and traditional food and drink.